Our graduates are listed here with their stories. Please click on a picture or link below to see that alum's page. Graduates are presented from the most recent to the first. Leroy Brown is a 2 year old Newfodore Retriever. 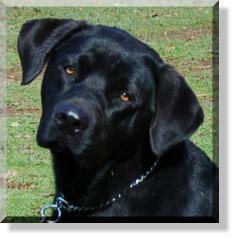 That would be a Newfoundland/Lab cross that is just the neatest boy you would ever want to meet. Basically, Leroy looks like an oversized Lab with a soft coat. What he lacks in manners he makes up for with his personality. He is a real lover boy that adores everybody he meets. Today is a very special day out here at Twin Cedar Ranch. Our special, big, beautiful, wonderful, goofy, broken, awesome, (have I left anything out) treasure of a dog Leroy Brown is off to his new home in Elk Grove. Blue comes to us from the kind folks at the Calaveras Humane Society. He is a very rare breed and may very well be the only one in these parts! He is a Chinese Blue Pei Hound! That would be a cross between a Blue Tick Hound and a Chinese Shar Pei. Blue is 1 1/2 years old and truly is a real treasure. He is very sweet, smart, willing and a big clown. Our ranch favorite Little Boy Blue is off to his new home east of Sutter Creek. This guy is a tough one to let go! He has won everyone's hearts out here at the ranch and will be missed greatly. Doc comes to us from the Amador County Animal Control & Adoption Center. 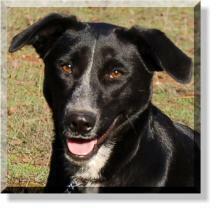 Doc is a 1 year old Border Collie mix that is just full of energy and is a total wild child! In fact he is so active we have changed his name to "Doc Perpetual Motion"!! Once you get him on a collar and leash he settles down and has beautiful focus on his trainer. 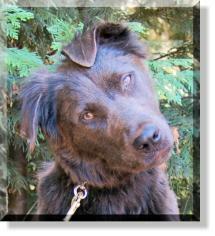 Our wonderful hyper, busy, funny, loving, hyper, smart, willing, hyper, comical boy Doc is off to his new home in Davis. He will eventually be living on a ranch which is exactly what this boy needs. Jacko comes to us from the Amador County Animal Control & Adoption Center. 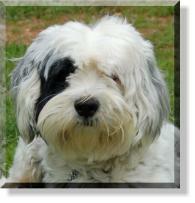 This cutie pie is a 2 year old Tibetan Terrier. We have only had him here at the ranch for 1 day and he is already winning our hearts! He seems to be a very affectionate little guy that enjoys life..
Our wonderful little terrier Jacko is off to his new home in Sacramento. This will be one spoiled little dog. He will have a new mom that works from home so there will be very little time that he will be left alone. 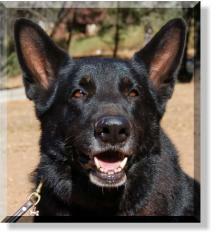 Nitro is Sponsored dog that came to us from the Calaveras County Shelter. Nitro was an owner surrender because he would not work livestock. 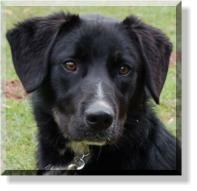 Nitro is 8 months old and looks like he is a Border Collie/Lab cross. He is a very sweet boy who just wants to please whoever he is working with. 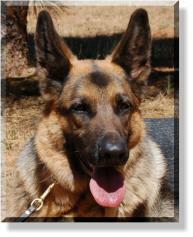 Nitro has been adopted by a wonder family who lives in Sutter Creek. What a lucky boy he is too... He will have a large fenced yard and two really cute kids to romp and play with. Snoop Dawg hails from the kind folks at the Calaveras Humane Society. He was an owner surrender to the shelter when his owner became very ill. 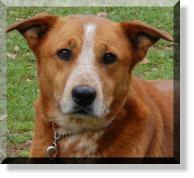 Per his surrender papers Snoop is a 4 - 5 year old Australian Cattle Dog mix. Snoop Dawg is a very affectionate boy who just wants a home to call his own. Our lover boy Snoop is off to his new home in Walnut Creek. His new owners have a home in Amador County as well, so we will be seeing Snoopy on the weekends. 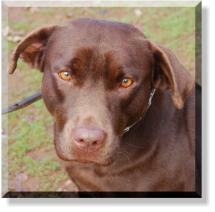 Buster Brown comes to us from the Amador County Animal Control & Adoption Center. Buster is 10 months old and looks like he is a McNab/Border Collie cross. Buster is a very smart and willing pup who is quite the little comedian. He definitely likes to play the "cute card" when practicing his obedience lessons. Buster Brown now "McCoy" hit the lottery today. His wish was to be a working dog and have a family to call his own. He will have 8, count them, 8 kids to play with, 35 fenced acres to run and play on, and cows to herd around the ranch. 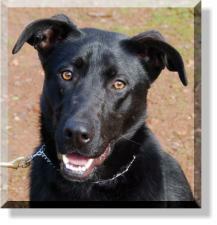 Rosco comes to us from the Amador County Animal Control & Adoption Center. He is a 2 year old Lab mix who is just a big goofy boy. He loves everyone he meets young to old. He is a big strong dog with a beautiful shiny black coat. He is coming along nicely with all of his obedience training and has mastered a proper heel, auto sit, down, stay and come. 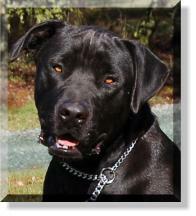 Our big goofy boy Rosco is off to his new home just up the hill from us in Pine Grove. He will be living on 10 acres so he will have plenty of room to get all the exercise a boy could need. Sadie is a sponsored dog. For her birthday a wonderful friend and client asked her husband to sponsor a dog in our Second Chance Program and Sadie is their girl. Sadie comes from the Calaveras Shelter. Sadie is an owner surrender so unlike most of our Second Chance Dogs we know her history. Sadie, now renamed Katie, is off to her new home just two miles away from the ranch. What a lucky girl she is too. She will have 40 acres to run and play on, a huge pond to swim in and a buddy named Sky to play with. 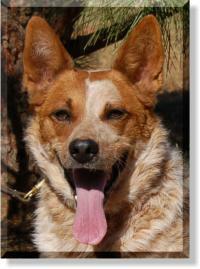 Reba hails from the Calaveras Humane Society and appears to be a pure bred LRD (Little Red Dog). She was an owner surrender to the shelter and her papers stated that she was a 2 year old Lab mix??? Margè does not see much Lab in her. She weights 36 pounds and does not have a Lab temperament. Our very sweet little red head Reba is off to her new home in Angels Camp. She will have a very nice retired couple to provide with her every want in life. 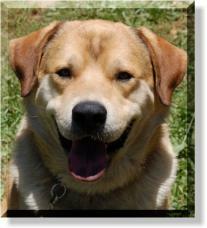 Enjay comes to us from the great people at the Calaveras Humane Society. She is about a year old and looks like she is a German Shepherd/Lab cross. She seems to be a very sweet girl that gets along with all of the dogs here at the ranch and per her previous foster parents, she was pretty good with their cats. Our beautiful girl Enjay is off to her new home in Jackson. She will be a city girl but will have a nice fenced yard and a family to play with. They have re-named her "Sable". Good luck Sable in your new home. 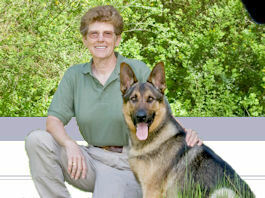 Tessa hails from the Amador County Animal Care & Adoption Center. She came to us as a Chocolate Lab mix however we think she is a Red Doberman/Pit mix with maybe a little Lab in the mix as well. This little girl is as sweet as they come. She hasn't met a person, young to old that she hasn't fallen in love with. She is good with other dogs and even gets along with cats. Our little girl Tessa is off to her new home just up the road from us in Pine Grove. She will have a couple of fenced acres to run and play on and a very loving Dad to give her everything a dog could wish for. 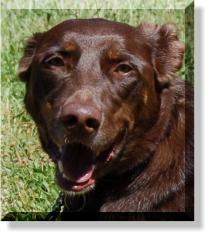 My name is Cali and I came from the Amador County Animal Control & Adoption Center. 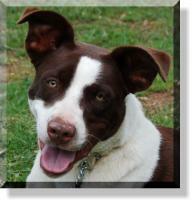 Auntie Marge` thinks I am a Cattle Dog/Australian Kelpie cross and I am about 10 to 12 months old. As you can see, I'm a very pretty little girl! I am very smart and willing to learn, in fact in just a few short lessons I have learned how to heel, sit and down. Cali is off to her new home in San Jose. She is going to a couple that are very familiar with the Cattle Dog personality and are going to give Cali all she needs to keep her mind and body happy. She is probably going to spoiled rotten as well. Sally comes to us from the Calaveras Humane Society. She is about 1 year old and looks like she could be a cross between a Lab and Border Collie. She is a very sweet and smart little girl that is a real snug bug. She just loves to cuddle with her trainers. She gets along with every dog and person that she meets. Our sweet little girl Sally is off to her new home in Fiddletown. 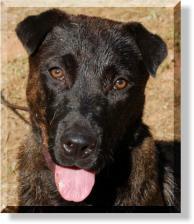 She Will have acreage to run and play on and a very loving family to care for her. She really has hit a gold mine! She didn't even look back to say goodbye as she left with her new Dad. Izzy (now Boo) came to us from the great folks at the Amador County Animal Control & Adoption Center. 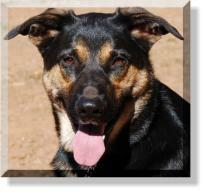 She is a 19 month old German Shepherd mix that is extremely bright, willing and very affectionate. She just adores everyone that she meets and, per her previous owner, she is house broken, good with adults and children and even gets along with cats. Our little girl Boo is off to her new home in Grass Valley. 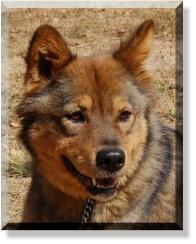 She will have acreage to run and play on and a loving family to provide with her every need. 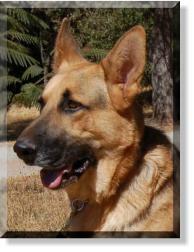 Bogey is in our GSD rescue program. He was actually born here at the ranch and is a full brother to our boy Duke. He is seven years old and is AKC registered. His papers come with him. His owners loved him very much but developed health issues required them to move into assisted living and could not keep the dogs. have four fenced acres and a female Weimaraner as a new girlfriend. His new owner is hoping Bogey will start detecting when his blood sugar is either low or elevated. It would be great if he does as that will give his owner a lot more freedom. Our big beautiful boy Rocky came back to us today. His previous owners are moving and will not have a fenced yard for him to stay in while they are at work. Rocky, as with all of our Second Chance dogs, needs a fenced yard. Our beautiful boy Rocky is off to his new home in Stockton. His dream has come true, he gets to be a best buddy for a retired gentleman who can spend all of his time lavishing Rocky with love and attention. They hit it off as soon as they met each other. Foxie is an owner sponsored dog. The very nice lady who is sponsoring Foxie found her abandoned in front of her house 7 weeks ago. Foxie was extremely fearful and growled any time anyone approached her. It took weeks of patience and lots of good food to gain Foxie's trust. This great lady cannot keep her, so here she is at Twin Cedar K9 getting the training and socialization that she desperately needs. Our very pretty little girl Foxie is off to her forever home. We were looking for that special person that could give Foxie the love and respect that she deserves and we found just that with her new owner. 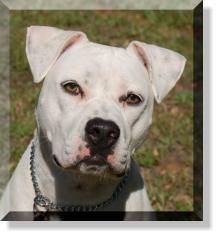 Chewy is a ten month old female American Bulldog that comes to us from the Calaveras Humane Society. She was extremely dominant with other dogs and the CHS folks were not sure if she could be adopted due to this behavior. After giving her our temperament test we decided to pull her into our program. It did not take Chewy to long to figure out that other dogs were fun to play with and she did not have to dominate every dog she met. Our pretty American Bulldog Chewy aka "Bella" is off to her new home in Copperopolis in Calaveras County. What a lucky little girl she is too, she will have 5 kids to keep her busy and give her all of the attention a dog could ask for. Sky comes to us from the wonderful people at the Amador County Animal Control & Adoption Center. She is seven months old and is a real bundle of energy. She is an Australian Shepherd mix. 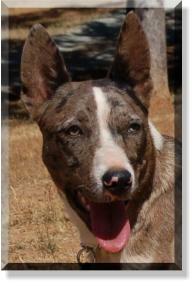 We see some Cattle Dog and maybe a little Catahoula Leopard Dog as well. Sky is a very sweet little girl that will need a large yard to play in and keep her safe as well as a buddy to play with. Our special girl Sky is off to her new home in Sacramento. She will have two wonderful people to provide her with everything a girl could ask for. A large fenced yard, beautiful home and two cats to play with. 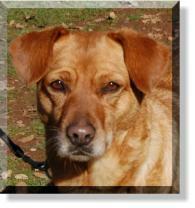 Alli comes to us from the Calaveras Humane Society where she had been picked up as a stray. We should have named her "Mystery" because it is a mystery as to what breed(s) she is… They said she is a Border Collie cross. 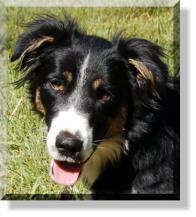 Her coat length, body style, temperament and trainability are that of a Border Collie, but her color and ears are not. She is the color of a Russian Blue cat with no white on her at all. Our mystery girl Alli is off to her new home in Arnold. She will have her very own teenager to call her own that will take her on long runs, play ball and her most favorite game…chase the water that is coming out of a hose. 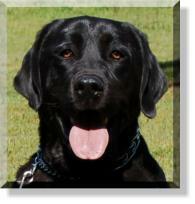 Bear hails from the Amador County Animal Control and Adoption Center. He is an 8 month old Shar Pei/Lab cross (best guess). He is a very sweet and affectionate little guy who is a bundle of energy. His kennel manners were horrible but once you get him out on lead he is brilliant. Our little Shar Pei mix Bear has really surprised us out here at the ranch. He showed to us that he had what it would take to make a search dog. Amy, who has been instrumental in helping me get Vito training for trailing and type 1 cadaver work decided to give Bear a try and was thoroughly impressed with his work. She fostered Bear for a few days and then adopted him on the 31st. They will make on heck of a search team. Baby is in our German Shepherd Rescue Program. She is a wonderful girl that has found herself needing a new home. Her owners have come into some serious health problems and have had to move into assisted living. Unfortunately Baby and her house mate Bogey are now in need of new homes. Baby is four years old and is a very sweet and affectionate girl. She is smart and very eager to please, this girl will do anything you ask of her. Baby is off to her new home in Angels Camp. We could not have hoped for a better home for this very special dog. Her new owner will be training Baby up to become her new service dog. Because of her disabilities she is a stay at home mom which is exactly what we were hoping for. Bandit was a sponsored dog from a private party. His family moved into an apartment and it just wouldn't be fair to make this outdoorsy kind a guy into an apartment dweller! 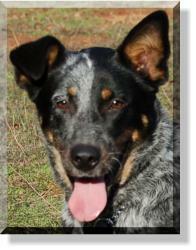 Bandit is a 2 and 1/2 year old Australian cattle Dog (aka Queensland Red Heeler). He is a very sweet boy who loves to play ball, any kind of ball, but a slightly deflated soccer ball is his favorite. He would love to play all day long if you would join in on the fun. Our wonderful boy Bandit is off to his new home and the best part of this adoption is… He will be living right across the highway about three miles from Twin Cedar Ranch. 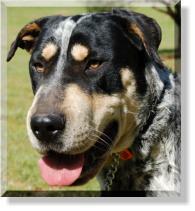 He will have seven fenced acres and two other Cattle Dog buddies to romp and play with. Bruno comes to us from the Calaveras Humane Society. He looks like he could be either a Mastiff or Rottweiler cross and is about 2 years old. He was picked up as a stray and acts like he has been abused. He shy's away from people if they raise their hands above his head and will not allow anyone to reach for him or attempt to hug him. Once he gains your trust he is an incredible snug bug and will offer you his left front paw to shake. Bruno is off to his new home in Willseyville. Our big lover boy & clown will have acreage to run and play on and a family to give him the love and care he deserves. Bruno will be the only dog on the property so he will not have to share his family with anybody. Amber came to us from the nice folks at the Amador County Animal Control and Adoption Center. 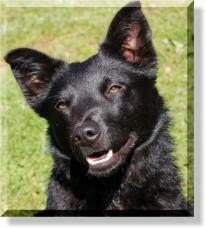 She is about 1 year old and is a Australian Kelpie cross. She is a very sweet little girl that is just terrified of life in general. Our shy little girl Amber is off to her new home in Sutter Creek and what a lucky girl she is. She was only with us for 10 days when her new family met her at the Amador Animal Shelter open house and they fell in love with her. Little Miss Pixie came from the kind folks at Amador County Animal Control & Adoption Center. Pixie is 1 year old and looks like she is a Schipperkee/Cattle Dog cross that looks like an oversized Schipperkee. She is an active, very friendly and playful little dog. She has beautiful focus when she is doing her obedience lessons and loves to snuggle with people. April 15th may not be our favorite day but for little Pixie it is the happiest day of her young life! She has been adopted and is off to her new home in Angel Camp.